Union Minister of Commerce and Industry Suresh Prabhu said that Kerala has all the potential to become a leading state in terms of economy and popularity. 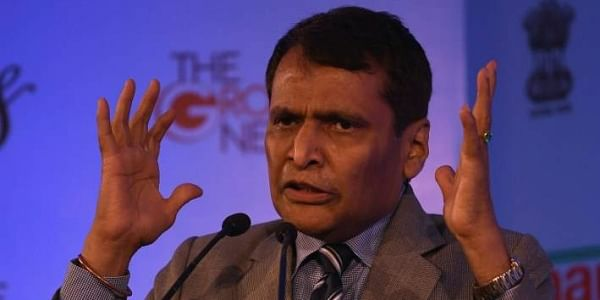 KOCHI: Union Minister of Commerce and Industry Suresh Prabhu said that Kerala has all the potential to become a leading state in terms of economy and popularity. He made the comments via video conference while addressing the valedictory function of a national convention held by Kerala Management Association (KMA) here on Friday. He appreciated the people of Kerala, saying they are hardworking and honest. He urged organisations such as KMA to think about steps to be taken for the proper utilisation of human resources in the state. On the other hand, MP K V Thomas blamed Malayalis for standing against development activities in the state. He said the double standards of Malayalis can be gleaned from the issues related to NH widening, laying gas pipeline, installing mobile towers and laying cables. He claimed that when Manmohan Singh was the Prime Minister, the then Chief Minister V S Achuthanandan had sent a petition arguing against the NH widening. According to him, after going through the petition, the former PM chuckled over the anti-development attitude of Malayalis, and he was a witness to the incident. When other states are approaching the Centre for development activities, Kerala prefers to stand against development, he said. The people of Kerala have gas cylinders at home, but protest against gas pipelines. Even though they cannot live without a mobile phone, they protest against mobile towers, he remarked. Thomas appreciated Prime Minister Narendra Modi, saying he is a good administrator. Even though I don't support Modi's politics and ideas, I appreciate his management methods, he said. In instances such as demonetisation and GST, Modi was able to convey the rationale behind the reforms to the public, he said. He also appreciated Modi's communication skills, saying he is more comfortable in communicating with the PM than leaders of the Congress.